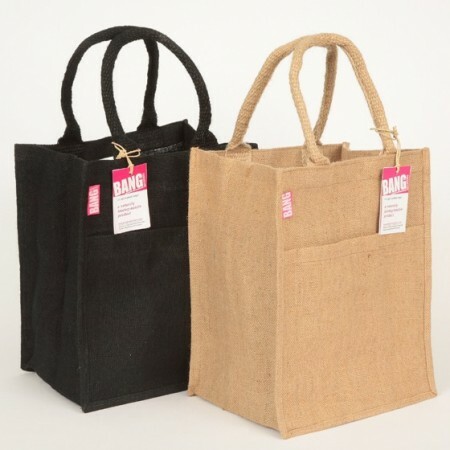 Sturdy 100% plastic free, natural jute shopping bag with pocket on the outside and woven handles. Handwoven by women working within a Fair Trade program in Bangladesh. Bag is natural colour (black is not available). 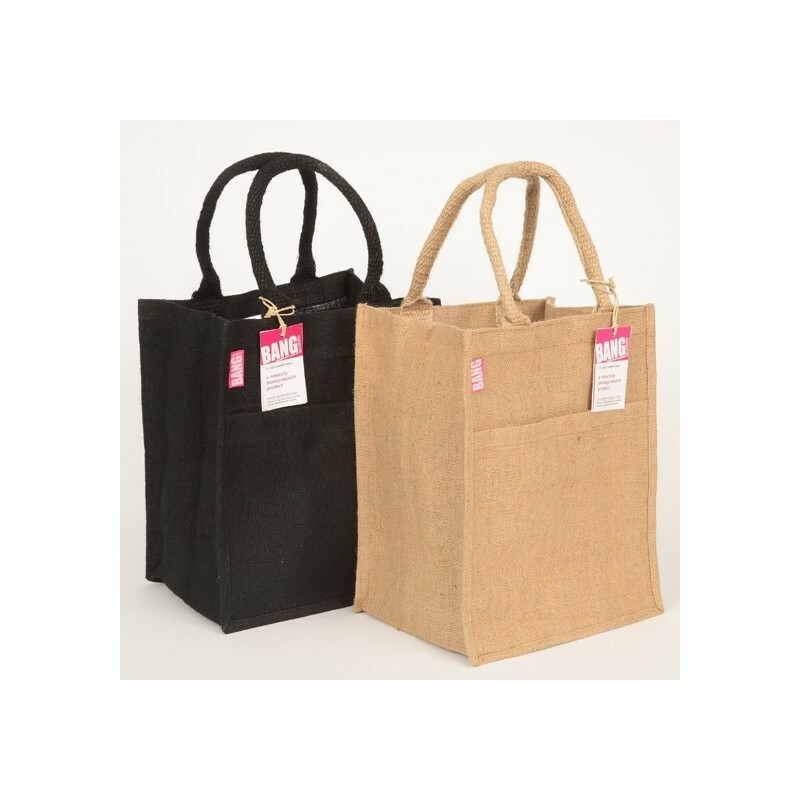 Stylish, durable and 100% earth friendly, this jute shopping bag was handwoven by women working within a Fair Trade program in Bangladesh. These talented women combine traditional weaving styles using backstrap looms with contemporary designs and natural materials. The bags feature strong handles made of the same handwoven material. Jute is a long, soft, shiny plant fibre that can be spun into coarse strong threads. It is 100% naturally biodegradable and is one of the most abundant natural fibres. Unlike polypropylene 'green bags' this bag is free from synthetic petrochemicals and at the end of its useful life will safely biodegrade. 28.5cm W x 35.5cm H x 22cm D (pocket is 26cm W x 23.5cm H). Browse all our Canvas & jute bags. I love that these bags are made of natural fibres. They stack neatly in the boot and in the trolley, are easy to carry and have sturdy handles. A lot of fibres came loose initially, but they didn't affect the bags at all. And weirdly enough, my cat loves them! He tries to roll all over them and rub up against them. That's a good endorsement from my point of view. These bags are super strong and the pocket is pretty handy. They do 'shed' a lot of fibres but that doesn't affect the bag.